Named for the 300-year-old Southern Burgundy village in which it is located, Monthelie Douhairet was run by the Douhairet family for many years. In 1989, Madame Douhairet asked renowned winemaker André Porcheret to take charge and added his name to the domaine. 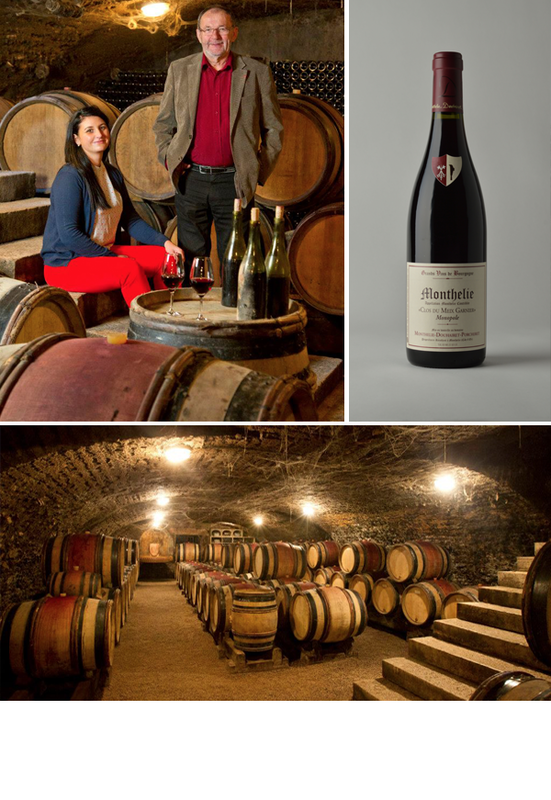 One of the great figures in Burgundy during the past half-century, André was the cellar manager at the Hospices de Beaune from 1976–1988, before he was hired by Lalou Bize Leroy to make wines at the newly created Domaine Leroy from 1988–1993. He returned to the Hospices de Beaune from 1994–1999, and since 1989, he has also been overseeing Monthelie Douhairet Porcheret’s 15 acres, mainly in the Côte de Beaune appellations of Pommard, Volnay, Meursault and Monthelie. Today, together with his granddaughter, Cataldina Lippo, he produces wines that are classic, elegant and true to their terroirs, with impressive textures, tension and bright flavors. Martine’s Wines is the exclusive importer for Monthelie Douhairet Porcheret in all of the United States.